Il Gigante was born in the countryside of Appignano del Tronto. It produces meat and milk from the sheep of its own breeding. 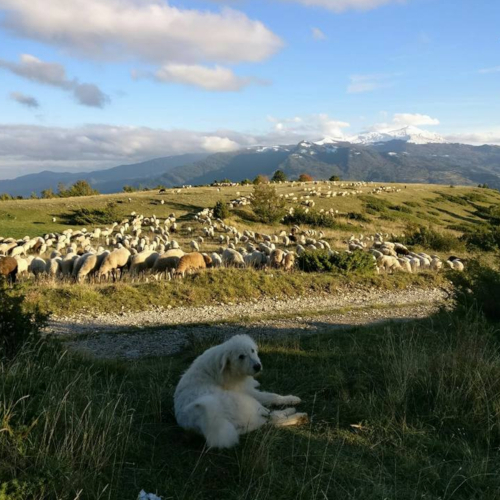 The sheep that grazes in these fields is the Sopravvissana – a cross between Vissana breed and Merino rams, typical of the Sibillini Mountains – fed with long hay. From the milk of these indigenous sheep fresh cheese, coagulation rennet, but also semi-hard and hard cheese, aged over 60 days and delicious ricotta cheese are obtained.